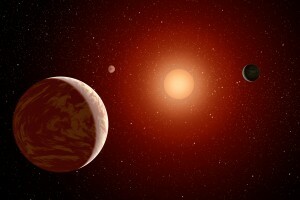 How might worlds orbiting other stars stay warm enough to support life? Tidal heating – the inspiration for my research – may be the answer! “Let’s be honest for a second. The search for planets in the galaxy is about the search for life. It is awesome that we’re learning about thousands of other planetary systems. We’re making discoveries – some surprising, some reassuring – about the nature and evolution of the universe. This is great. But one look at the hyperbolic headlines about Earth-like planets and Earth twins reveals why, in the hearts and minds of the public, and maybe of a lot of researchers, the search for planets is the search for potential homes for life. Previous Making Ice – Mother Nature makes it look so easy!